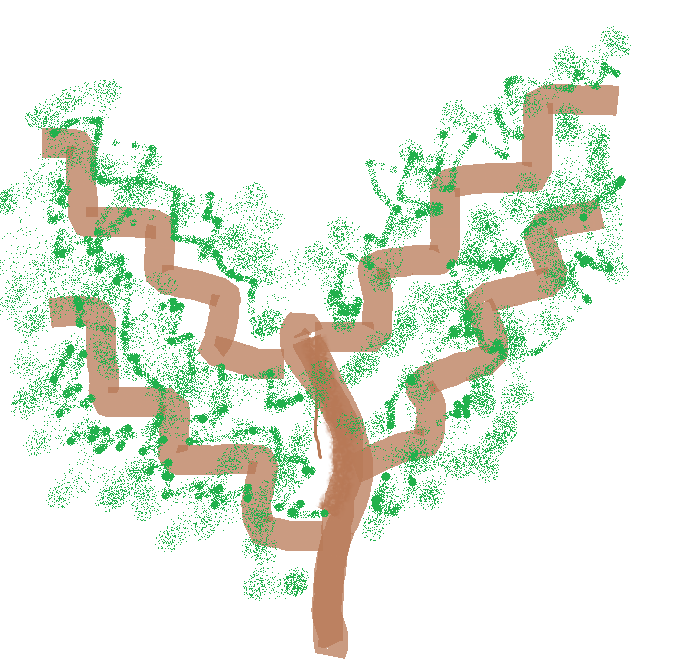 Along with coppice, espalier is probably one of the fanciest garden words.It just means to grow a tree (often a fruit tree) into a specific shape by training the branches along a trellis or a wall. Also, the French word for “stair” is “escalier,” so I think one really fun thing to do if you had a garden with a multilingual pun theme would be to make an escalier espalier and grow a plant in the shape of a stair. 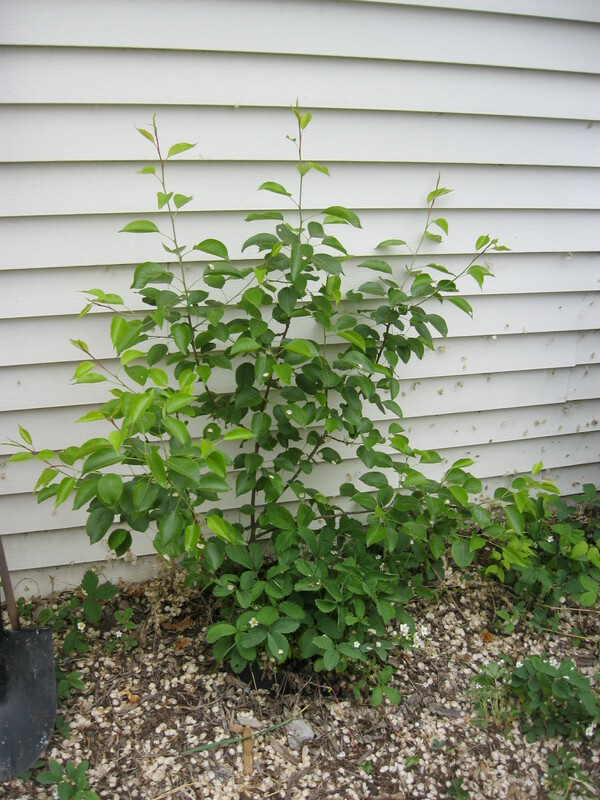 I have a pear tree (I think the variety is ‘Early Gold’) in its third year which I just decided to kind of espalier. It’s growing against the garage wall (in quite a cozy little microclimate that seems to suit it quite well), and it’s quite a narrow space, so it seemed like this might help to keep it orderly. 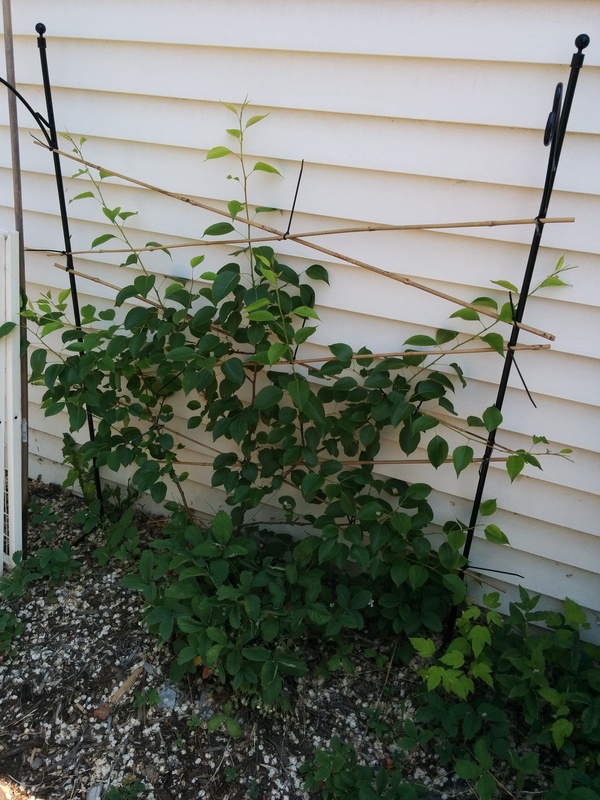 But my plans to build a fancy trellis seemed way too complicated, and as so often happens, my husband and I wandered around Home Depot like lost children, looking at boards and brackets and feeling bad about ourselves.